Hey folks, three weeks ago we celebrated Helpjuice’s fifth birthday (and we had a small chat party at #Slack for that occasion – yes that’s how we party ). Last week we had another party – this time we celebrated the launch of the new version of Helpjuice dashboard. You will find the new Helpjuice dashboard fully intuitive, smooth and easy to use. Our design team worked hard to ensure you simple and fast user experience within the dashboard. While doing it we followed the rule “get anywhere you want inside the dashboard within less than three clicks!”. Adding articles/questions has never been easier! The question editor has been drastically improved so it integrates smoothly with the new layout. 1. Brand new WYSIWYG editor and a toolbar you’ll LOVE! Adding categories is super-easy with the new Helpjuice dashboard. You can add them by clicking a small plus on the horizontal categories menu or by clicking a blue icon at the right top corner of your dashboard. Again, same as for the articles, you can make the category public, internal or private and manually edit its URL slug. We’ve already written about how it’s important to tweak your knowledge base all the time. 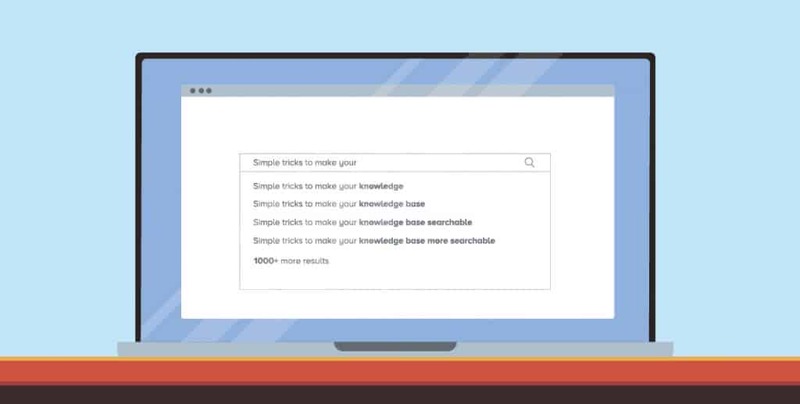 And, the main resource for doing that is your knowledge base analytics. Now, we have a completely redesigned analytics page for you with a lot of new features. Once you start browsing it, you’ll get addicted watching your money saving machine live in action! Now, within the Helpjuice V4 dashboard you have a clear view on the access roles for your knowledge base users. It’s easy to add (or remove) a new user to any of your four main user groups: administrators, collaborators, draft writers, viewers. 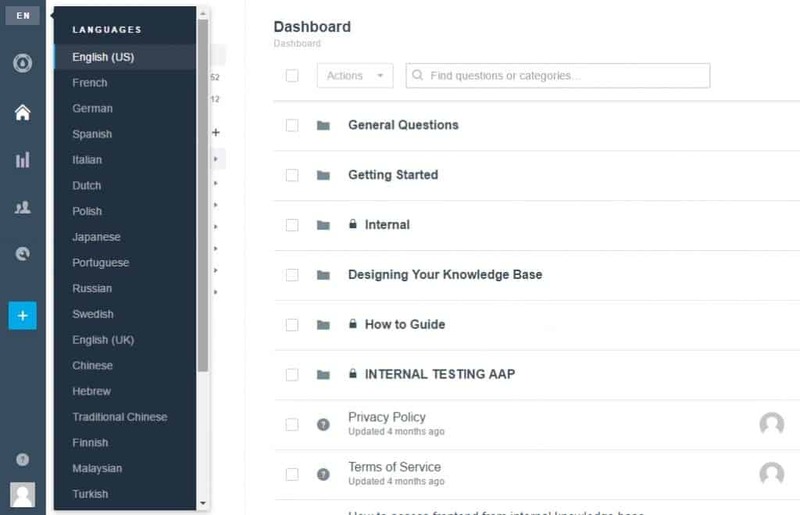 Customizing your own knowledge base to look just like a part of your website (or having it customized by our team free of charge) is another reason why you should love Helpjuice. 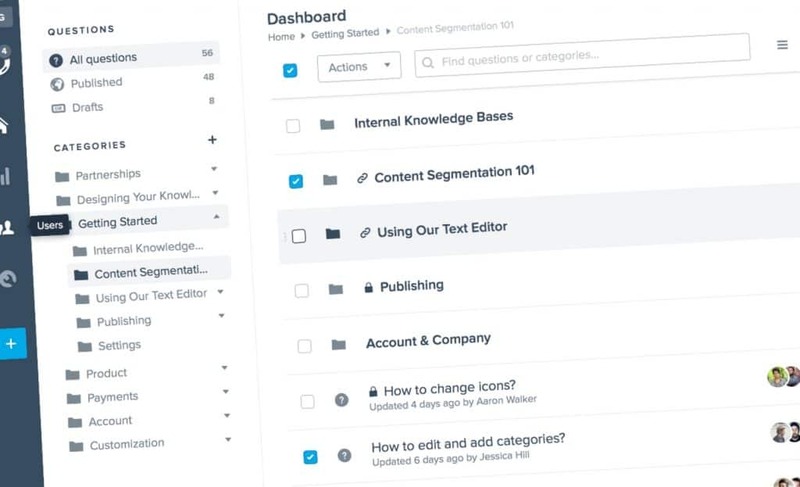 Now, within the new V4 dashboard, customizing your knowledge base has become easier than ever. By now, Helpjuice supports 25 different languages. Switching your knowledge base from one to another language is now as simple as it can be! If you are working with bigger teams of collaborators then you should find this feature very useful. You can easily keep up with everything what’s going on inside of your knowledge base, who has published or edited an article etc. More options to come. 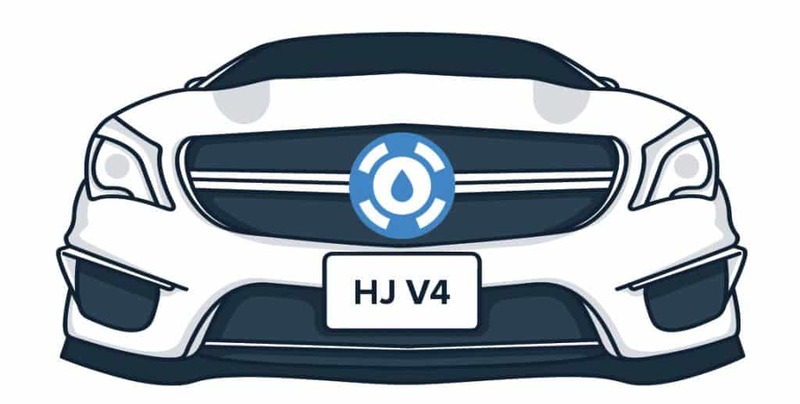 Well, the launch of the V4 version is just the beginning. Our development and design team’s to-do list is loaded with some cool features that are to come. 1. Grid view in the dashboard: presents questions and categories in a grid style instead of a list (this will make your browsing experience even easier). 2. Detailed insights for the questions inside the analytics page – we know how analytics are important for you and for us, so the next thing we want to do there is to add more insights about the performance of questions. Although you already have SOME insights about the best vs worst performing questions, there is much more to come. That’s it. The V4 version is live and doing well. And we have just begun! If you haven’t already tried Helpjuice, now is the right time. You can get your free demo right here. Stay tuned and subscribe to the newsletter for more good stuff to come.